Montreal duo The Backhomes has just released a new video for "Solid Gold", a track that appears on the band's fantastic 2015 full length release Tidalwave. The video features a mix of hand drawn animation, found footage and psychedelic video feedback, all viewed through the lens of night vision goggles. Good stuff! 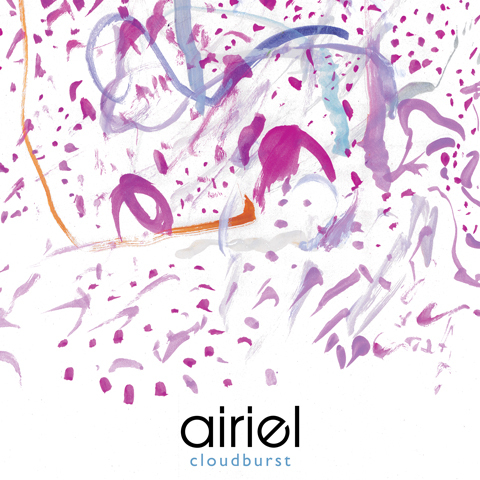 “Cloudburst” is the first single from Airiel’s highly anticipated and forthcoming LP Molten Young Lovers. 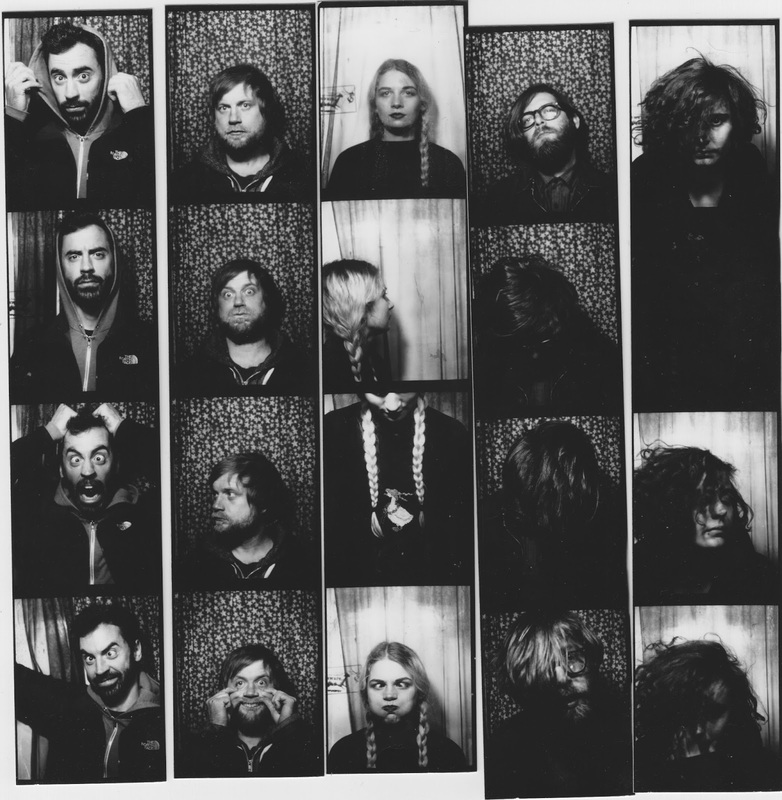 The Chicago-based group hasn’t released an LP since 2007’s Battle of Sealand, and I can confirm that, being one of them, long-time Airiel fans are collectively rejoicing and enthusiastically anticipating its release via Shelflife Records. We don’t have a firm release date yet, but will announce it as soon as we know. In the meantime, you can stream the new single via Soundcloud and/or purchase it for a mere $2 via Shelflife. The single also includes an excellent remix of “Cloudburst” done by Navigateur. The track is brilliant (and the production is masterful) – we can’t wait to hear the rest of the LP. If you like your shoegaze dark and heavy, this is for you. Vale sound like they crawled up from the bowels of the earth to rock your face off. Replete with unnerving beats and brutal loops, this is not shoegaze-by-numbers. If forced to define it, we'd call it industrial shoegaze - but who needs definitions? It's completely awesome and incredibly refreshing to hear new shoegaze that is off the beaten path. 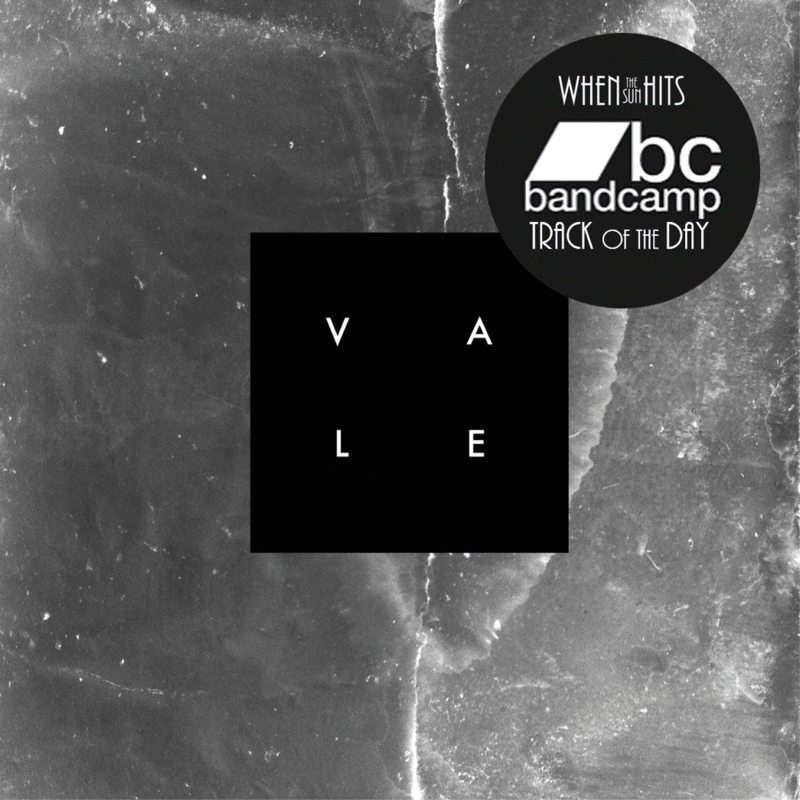 Vale's debut LP, distortion hymns, was released in February, and you can stream it (and buy it. BUY IT!) in its entirety on Bandcamp. The mastermind behind the project is none other than Scott Cortez, also of Astrobrite and Loveliescrushing. Scott always brings the noise, and this time he's truly outdone himself. We’ve been devoted fans of Portland’s Tender Age since the moment we heard their first 7 inch release, Anything/Mirrors, in 2014. Everything the group has put out since then has continually impressed us, offering up a uniquely lush bedroom pop sound that we can’t get enough of. Last week we were thrilled to premiere the band’s most recent single, “Lowers”, taken from their newly released EP, Disappear Here, which we couldn’t recommend more highly. We are likewise pleased to present you with our two-part interview with the band, stemming from a recent phone conversation we had with the group that was truly a delight. What follows is part one - look for part two in the coming days. Enjoy! WTSH: Can you guys each introduce yourselves and tell me what your contributions are to the band, both live and in the studio? And then can you let me know who isn’t present for this call, so all the band members get mentioned? Elaina: Sure! So, I’m Elaina Tardif. I play guitar and sing. Sometimes I play bass when we’re recording. Tauna: I’m Tauna Leonardo. I play guitar and do the lead vocal – well actually Elaina and I both kind of share that duty right now. Bryan: Hey, I’m Bryan Robertson – I play bass live and in the studio. And a sampler occasionally. WTSH: Okay cool. Can you tell me a bit about the members who aren’t present for the interview? Tauna: There is Christopher Klarer, who also plays guitar. And then our drummer is Nick Ferrucci. 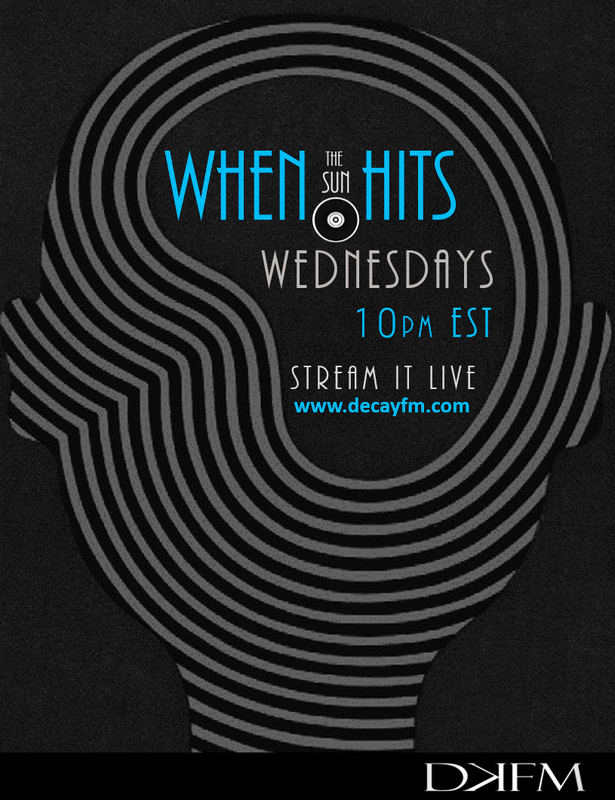 WTSH: Who comes up with the material for your songs? Who does what as far as song-writing duties? Tauna: Well, Elaina and I both usually write the skeleton of a song and bring that to practice. Then we develop it together as a band. The process is largely a group effort for the most part. WTSH: Do you and Elaina work together to write these skeletons of songs, or are you writing individually? Tauna: Well, this is bedroom pop haha, sad bed pop, so we mostly write the songs in our bedrooms. Elaina: Haha, yes. Usually we write separately, although we’ve written together before. But the usual process is that the songs come from one person, usually either Tauna or myself. And actually we are working on a song right now that Bryan wrote, so yeah, it does vary. WTSH: How did the project start and how did you guys come together? Elaina: It was all Tauna. Tauna: Haha, yeah, this is one of my first bands, and I started it about three years ago. It was a lot different then – it was a three piece, with different people. We had stand up drums, and just guitar and bass. And then over time, because it was my first project, I kind of developed the sound and got that how I wanted it to be. Then I found the right people to do it, who are the current members of the band. The five of us have been together for a little over a year. Bryan is the oldest band member, aside from myself – he’s been in Tender Age for about two years. WTSH: So how did you find your band members? Did you just kind of go out looking for them, after deciding how you wanted the project to sound? Did you have a particular vision in mind? Tauna: I just went out and started meeting people in Portland who played music, and who had similar tastes like my own. It was kinda tough for a bit, took me quite a while to find everyone. I suppose my only vision at the time was to do something that worshipped reverb and noise. Something different than what I was feeling and experiencing at the shows I was seeing at the time and the music that was coming out then, especially in Portland. Portland had a pretty intense indie rock and dirty garage rock presence that I didn’t identify with. A kind of early 2000s indie rock sound or like Burger Records was really dominating the scene. I felt lost in that world and was tired of it. I just wanted to feel something – and I didn’t at shows, ever. I wanted to find people that were going through what I was going through too. I always think of this moment in 2006 when I saw that Sofia Coppola movie Marie Antoinette in theaters. It was a big turning point for me and what I started to find in music. It had this amazing soundtrack. There’s this big landscape scene when “Pulling Our Weight” by The Radio Dept. comes on and it just hits you in this particular way I’ll never forget…or like when “Just Like Honey” comes on at the end of Lost in Translation. It’s just like all I ever wanted to feel ever again and I was hooked into something deep. Forever chasing this feeling and sound, trying to find it in everything I could, finding my own place in it too. Where was all that in the live music I was seeing at the time? It was totally absent and unreliable so I stopped going to shows and started a band. I was eagerly trying to decipher Robin Guthrie’s brain. Rich layers and harmonies. The Reid brothers [of The Jesus and Mary Chain] too and The Byrds, can’t forget about them. I am a devout Byrds fan. Those harmonies! Pop music in general though is like a drug. It took some time to find the right people to see all this through with for sure, lots of trial and error. More and more though I was figuring it out, our sound developed, I stuck with it through a lot and now I truly do see that vision fully realized in this current lineup. Which is such a wonderful feeling. I can’t believe how far we’ve come. I wasn’t sure I’d ever get to this place and I’m so proud of the new EP. WTSH: For the past few years now, a lot of the new bands that I’ve really liked and gotten into have come from Portland. Appendixes, Soft Kill, WL, Soft Shadows, Haste, Cat Hoch, Force Publique…It seems like a lot of the projects know each other or are related. So it seems like now Portland has a good scene going, which you guys are a part of, with a shoegazey, dreamy sound. Would you agree that there’s something synergistic happening? Elaina: I would definitely agree with that. A lot of the people in the bands you just mentioned are some of our best friends. They are like family to us, or at least that’s how I feel about it. My boyfriend is in Appendixes. One of my best friends is in WL. Our friend Conrad, who is also on our label with Warm Hands, plays in Soft Kill. It’s pretty close knit and sometimes bands will even share members. It’s a tight little community. WTSH: Would you say this scene has sprung up in just the past couple of years? Elaina: I would say yes, at least in my experience. A lot of these bands are only a couple of years old, like us, so I would say this little community started two, three years ago. Appendixes have been around the longest, I think, maybe three or four years. They were a band about a year before Tender Age came together. WTSH: Can you tell me a little bit about your label, SINIS Recordings? Elaina: It’s a very small label run by Mehran Azma, who is basically the best guy ever. He’s a very supportive person. Warm Hands is one of the other bands on the label. Toxic Slime and Adhere to Form, a side project of Vice Device, are going to be released on the label too. We’re very close with the Toxic Slime gang. But anyway, Mehran is just the best. Really intentional with what he does and just so incredibly supportive. He really keeps us going. WTSH: Do you know how long the label has been around? Elaina: I think the Warm Hands thing came out about a year and a half ago, and that was the label’s first release. So yeah, it’s very small and brand new. But it’s really grown in that time. Mehran is a total powerhouse. Tauna: Yeah, there aren’t a lot of Portland bands that are on label, especially one like this, because Mehran kind of does it all – he puts on shows, books them and promotes them and everything. He also works at a record shop in town called Beacon Sound. 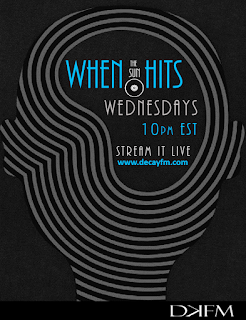 He has a show on our local radio station, XRAY.fm, called “Past Haunts” as well. The station itself is also a pretty new thing that has come along in the last year or so and shaped the local music presence. We haven’t had anything like that really, where you’re constantly connected to what’s happening if you just turn on the radio. It’s also just a well-curated radio station. So that’s cool. WTSH: I’ve been hearing that Portland has had a huge influx of people moving there recently, causing rent and the cost of living to go up dramatically. Is that your experience? Elaina: Definitely. I know people who are getting evicted. Their rent is like doubling, it's crazy. There are new buildings popping up everywhere like mushrooms. It's all under the pretense of urban renewal but it doesn't feel…like it’s really helping the community. We were just talking about this on the way here actually. Tauna: I feel like we talk about this every day lately. Elaina: Yeah, it’s really intense. I feel like when I moved to Portland in 2009 this conversation wasn’t even happening then. It was easy for me to move here with little to no money and find an entry level service job and pay my rent. It wasn't easy but it was easier than I imagine it to be now. If I was that eighteen year old kid again moving to Portland now I would really be struggling. A lot of people live with roommates here and I think that’s how we all get by. We all have a lot of roommates. There’s a cool community of people and friend circles that came from living together. WTSH: What is the industry that's employing all these new people that are moving in? Tauna: Like Nike, Intel. I think I read recently that Google is moving here now. Elaina: Yeah, Nike isn't a tech company but they employ a lot of techs. One of the biggest employers here. WTSH: I used to live in San Francisco and it sounds parallel to what’s happened in SF. Facebook and Twitter are right in the city and Google is south of SF and there have been years and years of evictions and rent and mortgages going way up, and it’s felt like it’s just been taken over by – not urban renewal but by another population that has more money and the people that lived there are being squeezed out. So it’s not actually a kind of development or renewal that’s helping the people that live there. WTSH: Oh, you're from San Francisco? Elaina: Well, I'm from Santa Rosa. I always thought I would live in SF but when it came time for me to do that I couldn't and found my way up here and it’s happening here. Like the place I work for is going to be torn down to make room for condos. WTSH: Yeah, it’s the same pattern, it’s the tech boom and this kind of thing always seems to follow in cities that are relatively creative, that have young people and art. Other demographics are attracted to that and move in and ruin it. Elaina: Right now we're sitting in the office where Bryan works and he and a friend have this little start up company that’s an example, it’s a design company. There are little pockets where the creative community can kinda take advantage of this but it’s very thin. It’s hard. It’s hard to get a foothold. It seems like the industry is employing people that don't necessarily live here yet. It’s a change in the culture. For better or worse. WTSH: Yeah, there's this pattern. A few years back a lot of the music that I was listening to was coming out of Brooklyn, and Brooklyn had a scene that attracted people, and has since become way too expensive for many of those musicians. Do you want to talk about your influences? Tauna, you mentioned Cocteau Twins earlier. Tauna: Yeah sure. Cocteau Twins was something I was heavily influenced by when I started Tender Age, I don't think it’s as present anymore with my songwriting, but I worship them, so it probably is. Maybe it is more so with my other band with Chris [Christopher Klarer, Tender Age guitarist] called Satsuma. Any post-punk, darkwave type of thing isn't as present in Tender Age anymore. The big influences I think to mention that especially brought Elaina into this band were Sonic Youth and the Breeders. I don't think I’ve ever really shared that with someone I was writing songs with before. I worship Kim and Kelley Deal and Josephine Wiggs. So being able to explore that territory was a big part of where we were drawing from, what seemed possible to do, what we could try and where we were going. We’re all a bunch of weirdo freaks that like weird notes and abrasive sounds. I recently heard Kristin Hersh talk about that too and felt even more of a kinship toward her. Elaina: Yeah, Sonic Youth and the Breeders. Kim Deal and Kim Gordon…What else? Bryan: I don't know, we kinda go in waves. Galaxie 500 has been pretty heavy lately. Tauna: It has been a Galaxie 500/Luna year for sure. I saw Dean Wareham recently and Luna and cried more than I ever have at a show, like a baby. That music is so heavy and emotional to me. Bryan says it feels like home. Elaina: Galaxie 500. I've been listening to Body/Head, Kim Gordon's newer project. That’s really good. They have a Nina Simone cover so I started listening to Nina Simone again. What else do we like? I like Patti Smith. Tauna: Throwing Muses is my big thing right now. Bryan: My long time favorites have always been Swirlies. They are a little underrated. There’s like a fun element to them, they don't take themselves so seriously. And then pre-1994 Stereolab is my desert island discography. Can’t get enough of that sound. Elaina: Yeah, totally! I don't know if this comes through in our music but I got obsessed with Delia Derbyshire. Do you know who she is? She's like this early proto synth BBC sound effects lady. She does the Doctor Who sound effects but she wrote her own music too. I found her, then followed the train of thought from her into early Pink Floyd, into older stuff, then Stereolab. I listen to hip hop too, we have really wide tastes, Kendrick Lamar…Tauna, do you have more? Tauna: Yeah, I've just been thinking a lot about Felt, been listening to a lot of Felt lately, and Mazzy Star. I found all these CDs. Somebody got rid of their entire CD collection, I don't know why, probably like 300 CDs, and left them on my street corner. I think this person used to be a radio DJ in the late 80s/early 90s, ‘cause it’s like everything you could possibly want almost, all stamped promo copies and singles of college rock and underground. WTSH: Wow, that’s pretty cool! Tauna: Yeah, I think I was pretty much into everything already, so it was like a gold mine to have them. But it forced me to really go album by album of some bands where I wasn’t as familiar with their entire catalog, like Low. The coolest find in that box were all the infamous deleted Smiths singles. I thought that was just something they said in High Fidelity, but it’s true! They've been sitting in my car and so I've been devouring them.